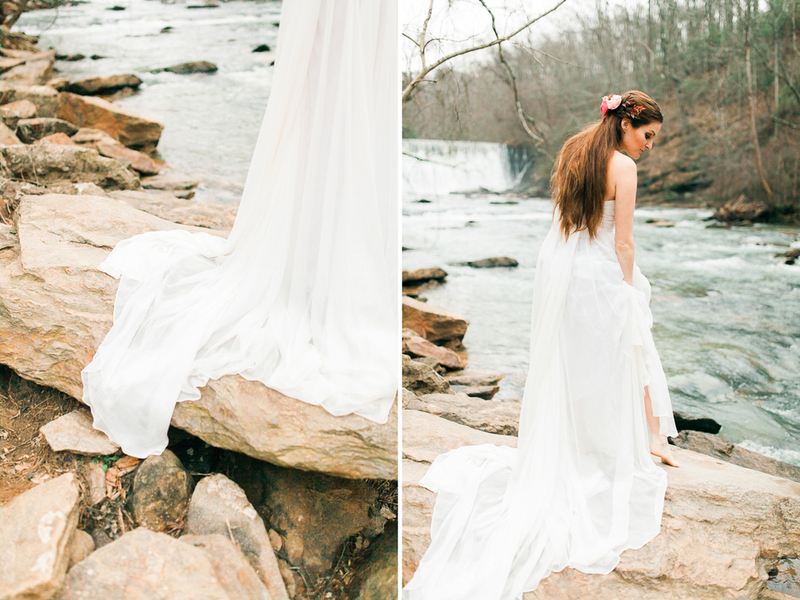 Organic Boho Styled Bridals // My first styled shoot! During the slow season, it just kills me when I can't go out and shoot whenever I want. So when the seasons started changing, I asked local creative's Facebook group if anyone would like to model for me on a spontaneous shoot! Only qualifications I had were that you had to love the camera and own a dress (of any kind). These kinds of shoots are always super fun, stress free, and a time where I can go out and get my creative juices flowing. However, Andrea (the lovely planner and stylist) contacted me after I posted the model call and asked if I'd like to turn my simple spontaneous shoot into a collaborative styled one! So I've done styled shoots before, but never collaborative ones with other vendors. Andrea planned the entire thing around my original vision. It was SO NICE having someone else handle the aspects of shoots that I'm just not so great at (aka planning, styling, and decision making in general). Andrea contacted Margaret Snider to do makeup and hair as well. The day of the shoot, everything was crazy. Location had to be changed, time was crunched, and it was more overcast than planned. BUT it ended up so fabulous and I love every image. These people freakin' rock. Seriously. Working with other creatives who are all volunteering time is something that is so creatively satisfying. We all help each other out and all play such a huge part in getting the end product. We're all doing the creative business that we love, working together, community over competition style.